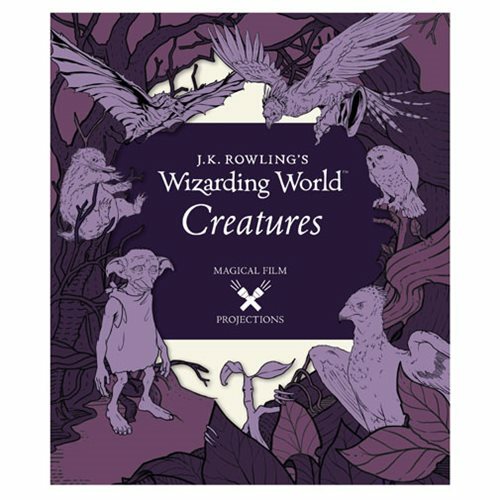 This J.K. Rowling's Wizarding World: Magical Film Projections: Creatures Hardcover Book allows fans to project their favorite scenes from Harry Potter and Fantastic Beasts and Where to Find Them films at home with a flashlight. This enchanting book features black line illustrations on framed acetate pages that allow light to shine through and project incredible scenes on the wall or ceiling. The 16 page book measures about 9 3/5-inches tall x 7 4/5-inches wide. Ages 7 to 10.